Do you keep a journal? If not, have you ever wanted to? I started writing in a journal when I was 8 years old. I still have that first journal. It’s a yellow cloth-covered book with a small red flowers. It’s fun for me to read through things I wrote as a child and even more fun for my children. I haven’t journaled consistently throughout my life, but I’ve picked it up here and there. It’s interesting to me that I always seem to turn to my journal during tough times. It’s like I intuitively knew that would help me figure things out — and it has. It’s led me to discover my inner self, uncover my purpose, deal with mental health issues, and get clarity on difficult decisions. Diary or Journal? What’s the difference? In my mind, a diary is a daily recording of thoughts and events. 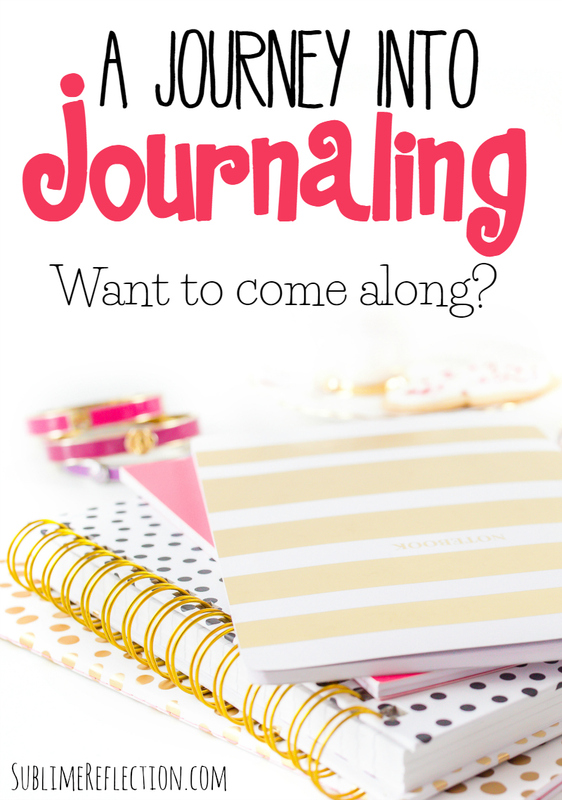 While those kinds of things are fun to record and look back on, I think a journal is something more. It can include daily things, but more often, it’s a place to explore your thoughts and discover who you are, what makes you happy and sad and grateful and discouraged. It’s a journey of self discovery. You can figure out who you are, and how you came to be that way. You can explore your trials and challenges, and why you seem to make the same mistakes over and over again. It can help you recognize patterns in your life, so you can strengthen the good ones, and get rid of the bad. In my experience, a journal is the most powerful tool for personal growth there is. I believe we each have wisdom inside us and writing is a fantastic way to uncover that and find answers for yourself. Want to join me on a journey of self discovery? Many of you just finished up my annual Design Your Destiny goal setting course. I had so much fun hearing from you via email and on Instagram and many of you asked for more once the program was over, so I decided we’d continue our journey together by diving into my favorite daily self-care practice–journaling. If you want to join me on this journey of self-discovery, please leave your email in the box below. I look forward to learning and growing together.